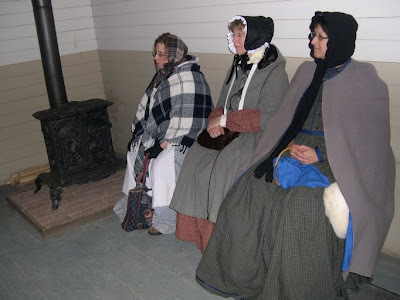 Passion for the Past: You Are Suddenly Transported Back in Time to the 19th Century...and You Are Sick - What Now? 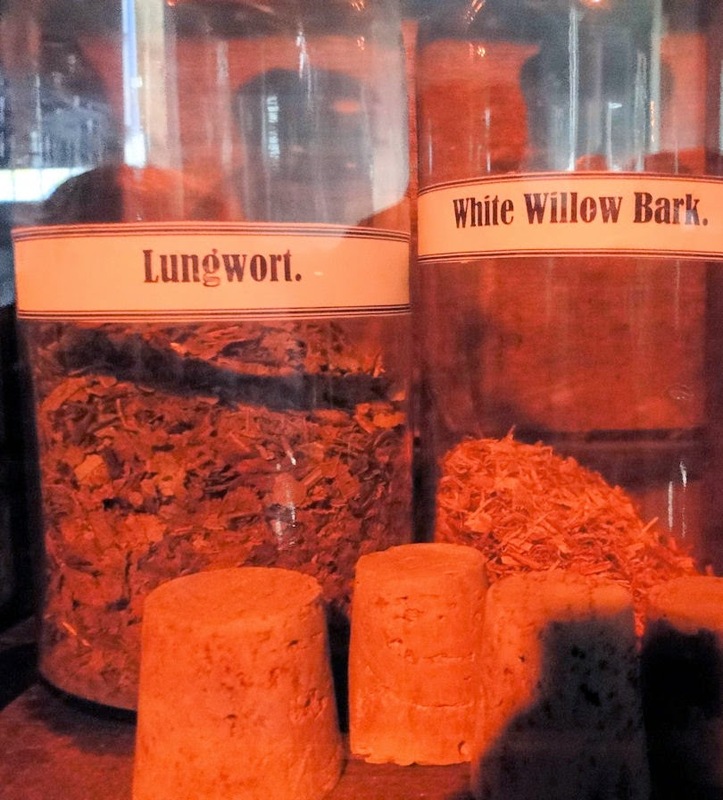 You Are Suddenly Transported Back in Time to the 19th Century...and You Are Sick - What Now? This is not my room! You went to sleep last night in your own bed, your own room, here in the 21st century. But this morning, upon awakening, you found you were no longer in your room or in your bed. Instead, you were in a beautiful Victorian house, with a beautiful Victorian wife. Wait------you suddenly realize that--ZAP!--you have been suddenly transported through time! You are now in the 19th century! Unfortunately, the time-travel must have affected you greatly, for you feel terribly sick. What do you do now? I was sick on Sunday last...very sick. My cousin thought I had scarlet fever, but my wife felt I had the summer fever instead. Either way, I had a fever and was put into what is normally the dining room day bed, where, as a healthy soul, I usually try to take a quick nap after a hearty dinner before venturing out to continue the afternoon work in the fields. Hey! Don't farmers get sick days?? Mother's books and women's handbooks, usually filled with advice on the complete task of running a home, were very popular in the 19th century, and sisters Catherine E. Beecher & Harriet Beecher were considered to be the era's most successful domestic writers. Many homes wouldn't be without such a remedy bible, and lucky for us in the 21st century, many have been re-published. But rather than be a passing curiosity of times gone by, these books give us a window into family life of a century and a half ago. Including caring for the infirm. 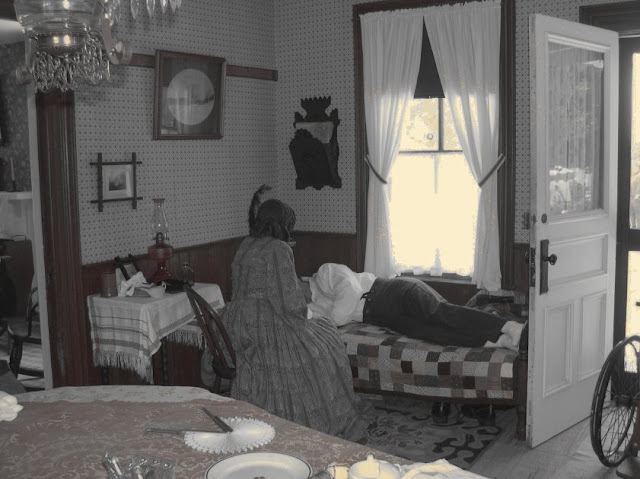 In their guide book, The American Woman's House, Catherine and Harriet write, "It is interesting to note in the histories of our Lord the prominent place given to the care of the sick. When He first sent out the apostles, it was to heal the sick as well as to preach. When He ascended to the heavens, His last recorded words to his followers, as given by Mark, were that His disciples should "lay hands on the sick," that they might recover." So caring for those who were not feeling well was considered of utmost importance. "The two great causes of the ordinary slight attacks of illness in a family are sudden chills, which close the pores of the skin, and thus affect the throat, lungs, or bowels, and the excessive or improper use of food. In most cases of illness from the first cause, bathing the feet, and some aperient drink to induce perspiration, are suitable remedies." (Aperient is a food that acts as a laxative. Yep - had to look that one up!). Bed rest, of course, was (and still is) highly recommended. Unfortunately, since I was feeling rather poorly this Sabbath afternoon, the day bed was used as the sick bed so I could be nursed back to health. The dining room location was chosen so family members could watch me closer to ensure I was well taken care of instead of being in an upstairs bedroom, so far away from everyone. But what if that isn't enough? What if you have something more severe than a mild cold or a sore throat? "When a cold affects the head and eyes, and also impedes breathing through the nose, great relief is gained by a wet napkin spread over the upper par of the face, covering the nose except an opening for breath. This is to be covered by folds of flannel fastened over the napkin with a handkerchief. So also is a wet towel over the throat and whole chest, covered with folds of flannel, often relieves oppressed lungs." Keep a large box for fuel, which will need to be filled only twice in twenty-four hours. 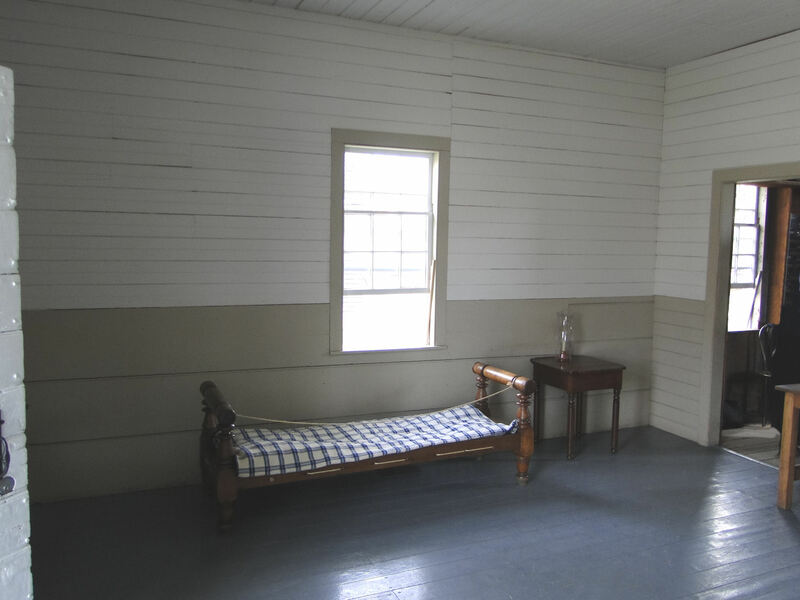 Provide also and keep in the room or an adjacent closet, a small tea-kettle, a saucepan, a pail of water for drinks and ablutions, a pitcher, a covered porringer, two pint bowls, two tumblers, two cups and saucers, two wine-glasses, two large and two small spoons; also a dish in which to wash these articles; a good supply of towels and a broom. Keep a slop-bucket near by to receive the wash of the room. Procuring all these articles at once will save much noise and confusion. A sick person has nothing to do but look about the room; and when everything is neat and in order, a feeling of comfort is induced, while disorder, filth, and neglect are constant objects of annoyance which, if not complained of, are yet felt." They go on to say, "In nursing the sick, always speak gently and cheeringly; and, while you express sympathy for their pain and trials, stimulate them to bear all with fortitude, and with resignation to the Heavenly Father who 'doth not willingly afflict,' and 'who causeth all things to work together for good to them that love Him.' Offer to read the Bible or other devotional books, whenever it is suitable, and will not be deemed obtrusive." The day bed was in the dining room, a very airy area with the windows and door, allowing the breeze to flow throughout, which helped to keep me comfortable on this warm summer's day. 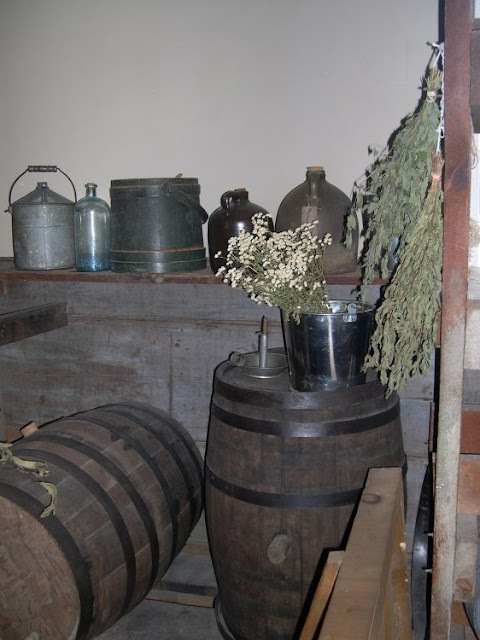 While in the sick bed, I was given medicine - feverfew mixed with lemon and water - and since I could not lift my head very high, an invalid cup was used so the medicine would not drool out of my mouth. There are hundreds of home cures for nearly as many illnesses, and there is a large list of plants that were used for medicinal purposes, and what I have here are but the tip of the iceburg. If you are interested in a more complete listing you may want to search out the books and pamphlets I have mentioed at the bottom of this post. According to Virginia Mescher's research, applying mustered plaster was one way to cure bronchitis. Another way was to use onion poultices, all cut up and heated, placed on a cloth and then put on the chest. 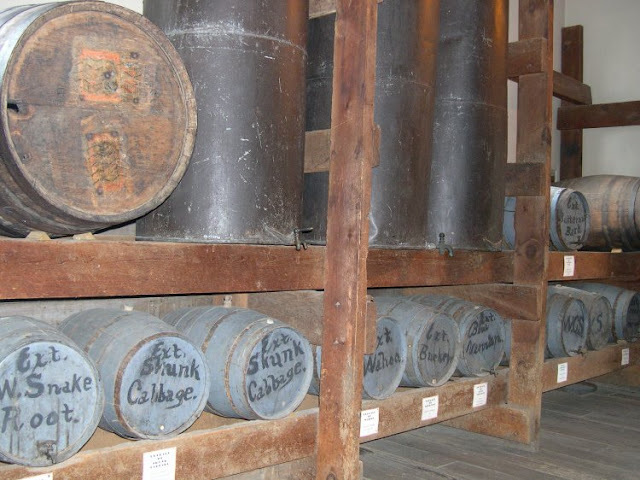 Molasses and vinegar could be mixed together for a cough syrup. Different plants were used for different ailments such as alum, which stopped bleeding. Feverfew leaves were good for headaches, fever, hysteria, diarrhea, and other sicknesses. Ginseng root was used as a tranquilizer while cloves were good for a toothache. 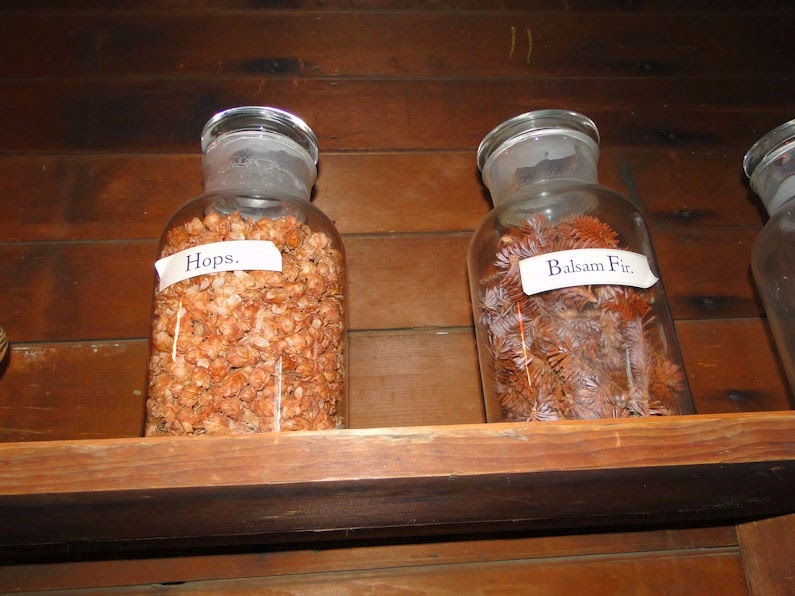 Pennyroyal was a digestive aid (among other things), hops a sleeping aid, and St. John's Wort helped with wounds, skin irritations, and consumption. And there's witch hazel, aloe, goldenseed, and yarrow for cuts and sores. So many plants to know and their purposes to remember! The Buckeye Cookery and Practical Housekeeping book tells us that fruits and vegetables of all sorts helps those who are ill. Of course, these items may not be of much help when they're out of season. But, if you find yourself sick in the summer, you're in luck! "Watermelon act on the kidney's, and are good in many cases of fever, bowel complaints, etc. Celery is also good in some diseases of the kidney's and in nervousness. Fresh, crisp, raw cabbage, sliced fine and eaten with good vinegar, is easily digested, and often highly relished by a patient suffering from a weak stomach. Fruits and berries, raw, ripe and perfect, used in moderation, are admiral remedies in cases of constipation and its attendant diseases." After all this, if you still are not feeling better, then you may need to be seen by a doctor. Are you in luck! Since you have time-traveled and now live near Cold Water, Michigan, the finest doctor around is in the not too distant town of Tekonsha, where the office of Dr. Alonson Howard is located. Let's learn about this doctor and his credentials. I believe you may find he just may be the man to cure whatever it is that is ailing you. 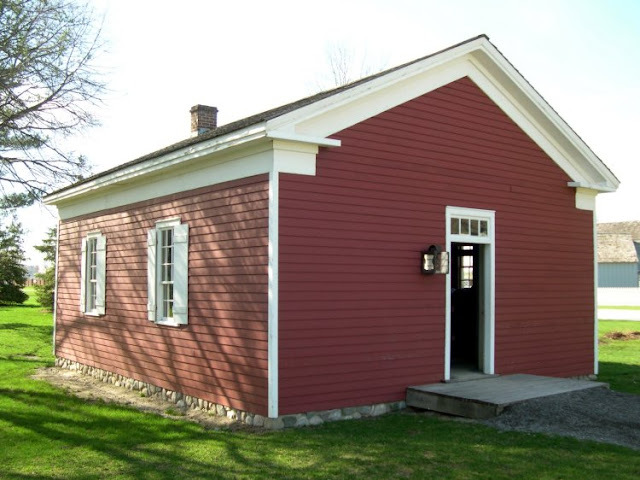 The office of Dr. Alonson Howard: This simple Greek Revival structure began as a one-room schoolhouse, built in 1839 in the rural town of Tekonsha, Michigan. It was warmer than most as it was built with 'nogging' - that is, rough bricks placed between the interior and exterior wooden walls to provide insulation, as well as protection against fire and infestation from rodents. In 1840, the Howard family, including 17 year old Alonson, migrated to Tekonsha from upstate New York and established a farm they called Windfall that was located just behind the schoolhouse, hence the original name of the school - Windfall School. Folks that remembered Howard recalled a gruff, outspoken individual who got into medical practice because of his friendship with the Pottawatomies of the nearby Indian reservation. They taught him the use of herbs and roots in treating illnesses, and he learned to concoct many of the remedies himself. After he had practiced "doctorin'" in this fashion for several years, he earned money to to go school to study medicine. 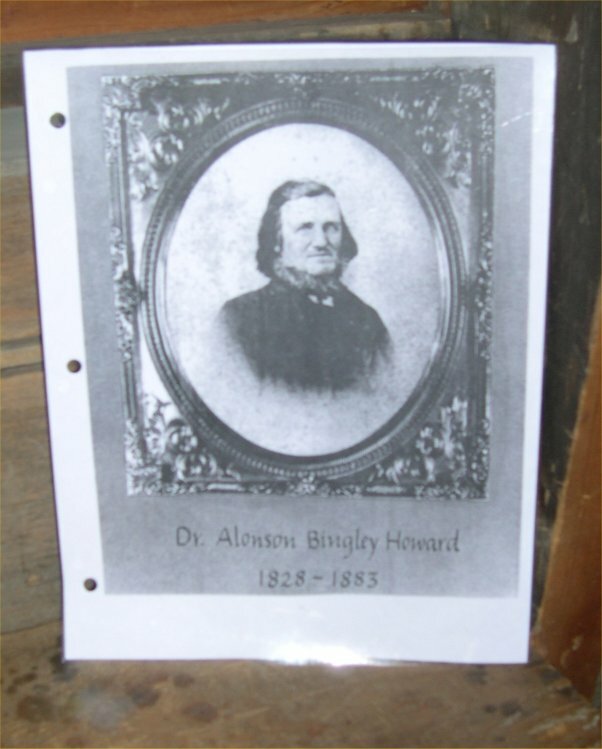 In this manner, Dr. Alonson B. Howard, in 1851, was one of the first to attend and receive his medical degree from the new medical school at the University of Michigan. As a practicing physician, he enjoyed the high respect of the patients he served. But, this medical degree did not divorce this pioneer physician from the Indian cures for illness; he combined everything he knew to treat his patients. Here is Doc Howard himself! From those that remembered him, a physical description of the man comes to light: he was large yet not fat, his hair was sandy and he had blue eyes. He was almost never seen without his clay pipe, even on one of the very few occasions he sat for a tintype, where it remained in his pocket. His young neice, Rita, loved to watch him mix his powders and medicines and said that his hands would just fly. For such a ponderous man, he was amazingly quick in movement. It was in 1855, when the village of Tekonsha built a new school, that Dr. Howard, who already owned the farm, bought this particular building - the old schoolhouse. He remodeled it and created a reception room, a laboratory, and a personal office. 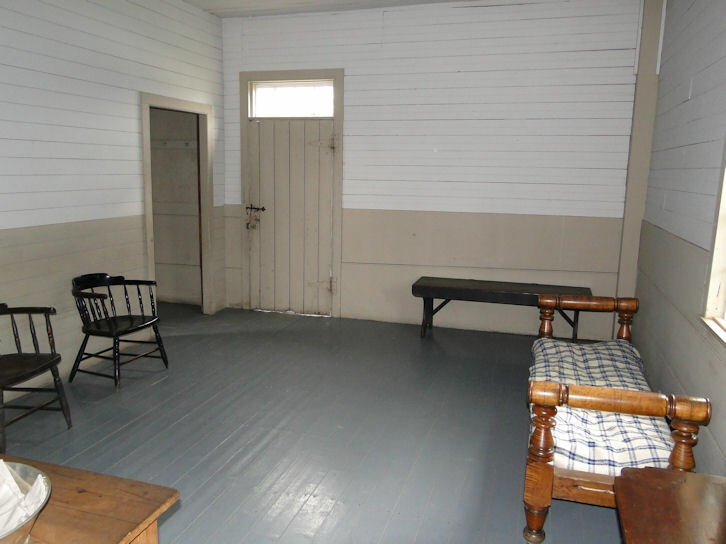 While most doctors of the 19th century worked out of their homes, Dr. Howard had his own doctor's office. Known as "Doc" Howard, he became a very respected doctor in Tekonsha and the surrounding communities. Besides seeing patients in his office, Doc Howard was a circuit-riding doctor, that is, he made housecalls on horseback on his white horse he called 'Mel,' short for Melchizedek, which was kept saddled and ready outside his office. He could be seen throughout much of south central Michigan, riding atop Mel, saddlebags bouncing off the sides of the horse. Doc Howard would also ride the train circuit, treating patients between Marshall, Battle Creek, Kalamazoo, and Coldwater, as well as other towns north and south of Tekonsha, and even Jackson to the east. By arrangement, the engineer of the Michigan Central Railroad would begin blowing his whistle after leaving the Burlington Station three miles away and then watch the country road where the tracks crossed a quarter mile south of the doctor's home. If the engineer saw a white horse racing toward the crossing, he pulled the train to a stop. Doc Howard would jump from the horse, his bag in hand, give the animal a resounding slap on the rear and yell, "Go home, Mel, go home!" As the physician climbed aboard the train the horse would turn around and trot off toward home. 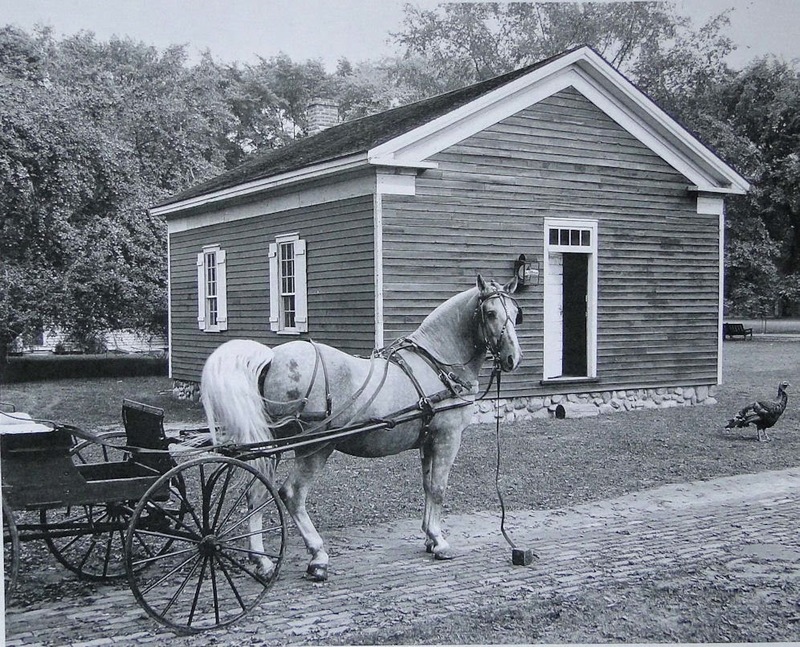 The way Greenfield Village presented Doc Howard's office years ago, showing his white horse, Melchizedek, as it all may have looked in the mid-19th century. Melchizedek, the white stallion, raced through the blackness of the stormy night, jolting the doctor's buggy over rutted mud roads toward the home of Jake Newton. Jake, who had driven to the doctor's home with word the new baby was coming, had been left far behind in his own carriage. "Gidjup, you blasted white imp!" Doc Howard shouted into the cold dripping atmosphere so many times he was becoming hoarse. At long last, he abandoned Mel in the Newton drive and stamped in through the side door of the farmhouse. "Well, how's the patient?" he roared as he slammed the door, pulled off an old felt hat and in the act dumped a pint of water on the dining room floor. "Speak up, child, speak up--how's your ma?" he demanded of 10-year-old Lizzie Newton, who had come into the room at the sound of his footsteps on the porch. "Guess Jake brung you on a wild goose's chase, Doc. I don't feel no mite of pain now. The wee stranger must've dozed off fer a spell." Doc Howard dropped his huge frame into the biggest chair in the room, wiped the rain from his face with a red checkered handkerchief and began to fumble in his saddlebag. He was on the case and here he would remain until the baby arrived. It was an old story and he loved the life of a country doctor. "Put a pot of coffee on the stove, Lizzie," he called out into the kitchen, and then added gruffly, "I don't want none of that warmed up brew left from supper." 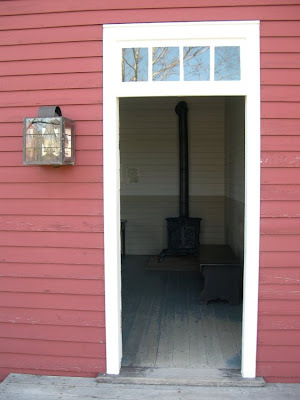 It was 13 minutes before midnight on the night of November 2, 1853, that Doc Howard reached the Newton home. He drank black coffee, catnapped, ate heartily at meal time, and played checkers with Jake in the interim before a baby son was born to Sylvia Newton at 10 p.m., November 4. He had been on the case for a total of 44 hours. Jake Newton was charged $5 for the delivery - ultimately paying the bill with a slab of pork and a dozen fat hens for the doctor's table. I wonder if this is what Rite-Aid's pharmacy looks like? The cure for what ails ya. What a fine presentation at a reenactment, to have bottles with the 19th century cures on the labels. Yes, you are now a patient of a doctor who practiced medicine in rural Michigan during the mid-19th century! This is not your descendent's "take two aspirin and call me in the morning" generation. So, what was it like to actually visit the good doctor at his office? We have accounts of this, so at least you can know ahead of time what to expect upon stepping into his place of business. Doctor Howard's office was a busy one and he eventually built a hitching post a quarter mile long along his property and it was not unusual to see horse-drawn vehicles hitched along its entire length while patients waited to see him. Howard treated everything from a toothache to consumption and all ailments in between, and would perform surgery if needed. He charged a standard twenty five cents for a normal housecall, but staying the night with a patient would cost two dollars. He also accepted grain or tallow, or even labor on his farm for pay. The cost of medicine was included in the fee. There are numerous entries of financial transactions: 12 cents for pulling a tooth, 25 cents for filling a tooth, $2 for sitting all night with a patient, which he did frequently. Sometimes his patient approach was such that it would surely shock a psychiatrist of today. Stories are numerous from the old-timers who remember Doc Howard and his bluntness with his patients. For instance, his neice, little Rita, recalled being in his office one afternoon with him when he got his first look at a patient coming into his inner office. He said very positively, "God-dee Almighty, lady! You're on your way to Glory!" Another time, while examining a patient he knew when she was a young girl, he asked her, "Fanny, are you married?" As she replied in the negative he popped, "Well, you oughta be! There's nothing the matter with you. Go find a good man and marry him!" 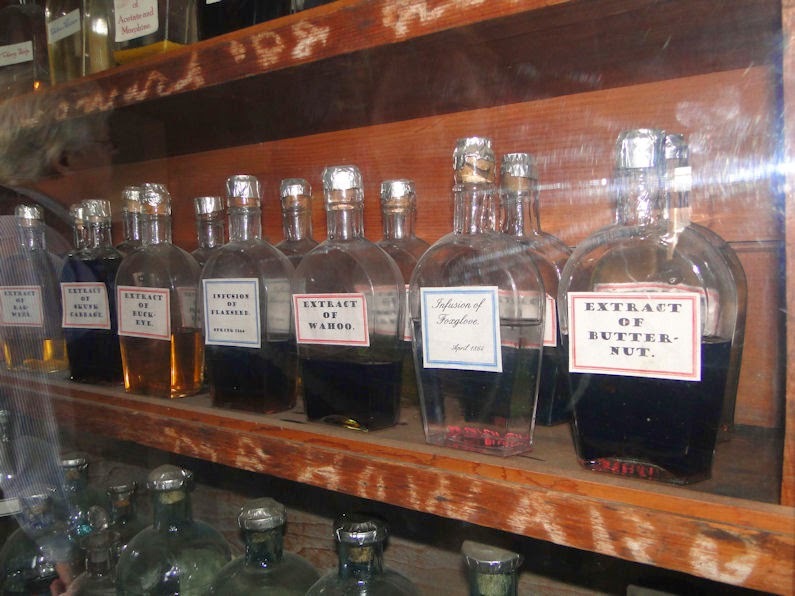 Shelves of 19th century cures. As gruff as he was with adults, he was quite the opposite with children. He had such a way with the little ones that they liked and remembered him fondly, with much affection and respect. Most of what you see in Doc Howard's office is original to not only the building, but to Doctor Howard himself! It is unfortunate that his life ended sadly. He had been a very active and energetic man all his life. When he was 61, he was attacked by the same disease that killed his parents, known in those days as "softening of the brain." Today, that disease is known as hardening of the arteries. He knew there was no hope and accepted his fate. Shortly after his death in 1883, his wife, Cynthia, sent the medical instruments to their son in Arkansas, who was also a physician. 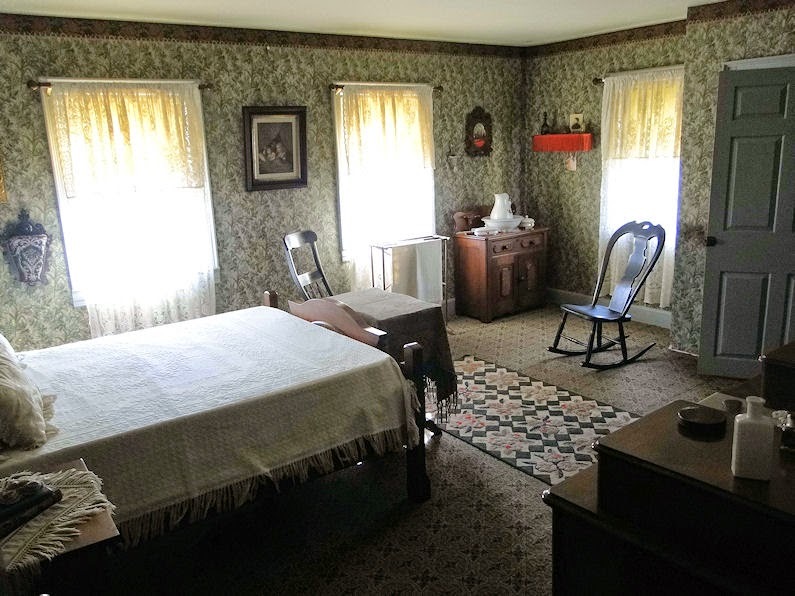 Mrs. Howard promptly padlocked the building, which her husband had used as his office for 28 years, and it remained untouched and exactly as Doctor Howard left it until 1956 when their great grandson donated it and its contents to Greenfield Village. 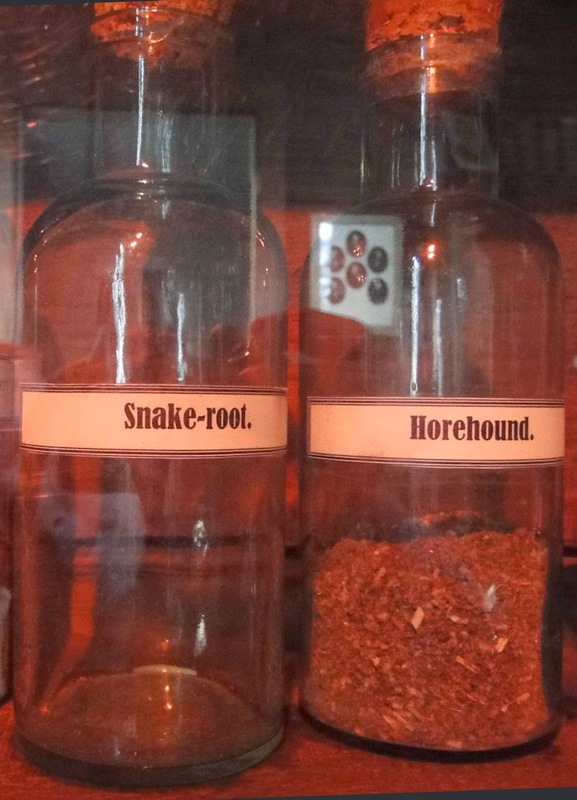 I wonder how many of these old medicines would still work today? Methinks more than what we are being told. 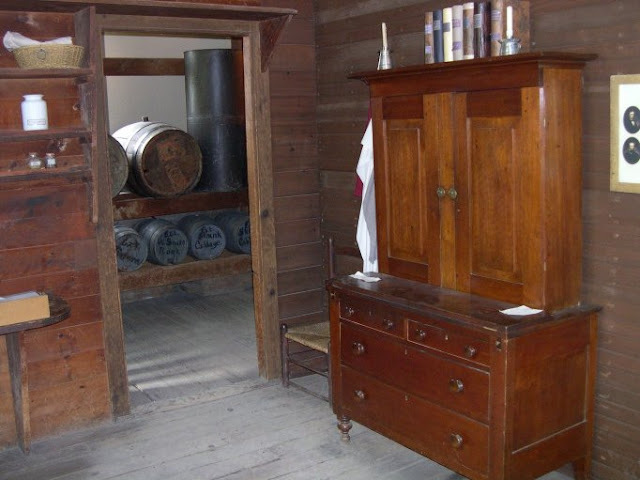 The original furnishings, financial records, equipment, patent medicines, and medicinal formula books are still contained within the building inside of Greenfield Village. 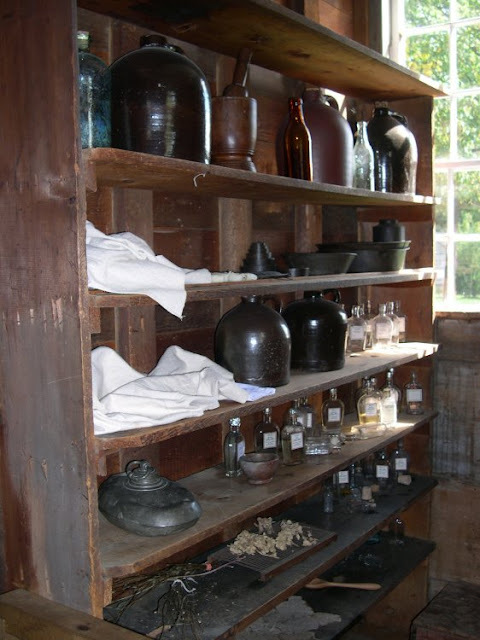 Wooden kegs, which he himself painted and labeled for his herbal remedies and most extracts, still remain and stock the homeopathic laboratory. The photographs herein show the office not only as it looks in its restored condition today, but pretty much as it looked in the 19th century. It is a living testament to Dr. Howard and all 19th century physicians. At least the practice of being bled was (mostly) over! Another chapter to help bring the past to life for those of us who enjoy studying social history and make the attempt to bring the past to life through living history. 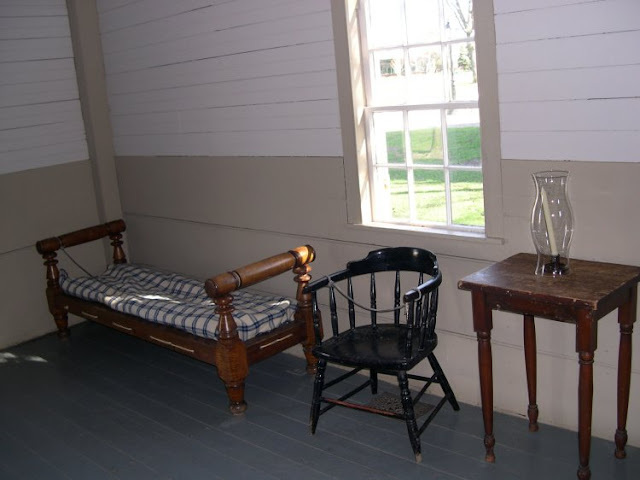 It only touches upon the subject of health care practices during the mid-19th century. It is not, by any means, meant to be anything more than a very basic guide for the curious or for the living historian to accent their presentations with some color and tales. Charlton Park 2014: "The Immersion Zone"